A wonderful example of the skill of taxidermy. Rainbow Trout, Caught by R.W.Broad Lechlade 12lbs 8ozs 28.8.98. 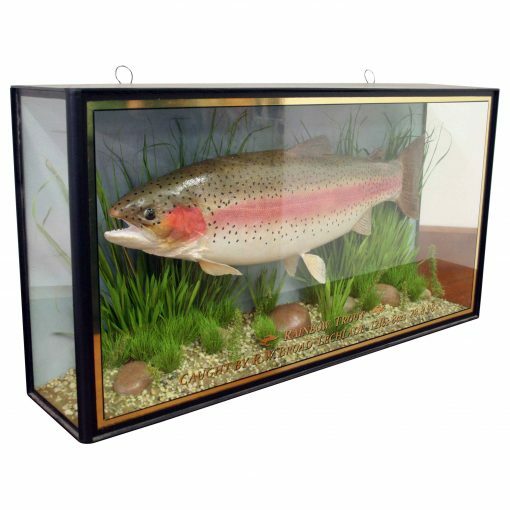 The fish is contained in a glazed case with gilding around the edge and glass ends, with a diorama of a river bed. 41.5cm high x 81cm wide x 17cm deep.